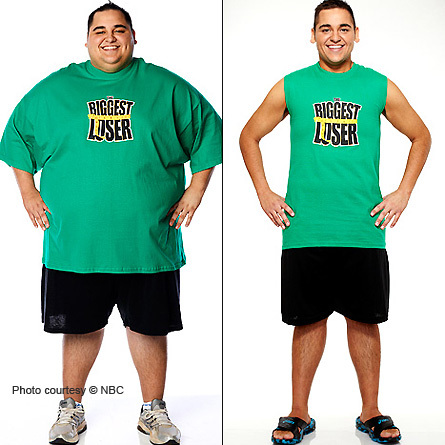 THE BIGGEST LOSER: Winner Reveals Life Changes! Winner of season 13 of “The Biggest Loser” Jeremy Britt was literally neck-and-neck with competitor Kim Nielsen when it came down to the wire in the season finale show last night. Jeremy took questions this morning during a conference call interview to address what everyone wants to know – how do you plan to keep the weight off? His answer, “I have a complete lifestyle. If I stay in the public eye, that keeps me accountable.” Britt stated that he plans to do this by public speaking to youths across the country and educating them on healthy lifestyles. Britt also stated that by staying active he’s sure the weight will stay off. Jeremy Britt wins Biggest Loser. Britt addressed the rivalry between himself by saying, “especially when I was at home, I made sure she wasn’t out-working me. The best thing about losing the weight is being healthy and not being restricted”. Moving forward, Britt’s said about keeping the weight off that “It’s about doing it the right way. I worked-out a lot and ate. I’m going to do more cardio, running, weight lifting. The plan is to build muscle. I don’t want to be the hulk but get toned”.